Serita and I are so thankful for your consideration of partnering with T.D. Jakes Ministries. We do not take such a covenant relationship lightly. It’s our partners’ commitment and donations that ensure we’re able to take the Gospel of Jesus Christ to the utmost parts of the world. We are most grateful for our relationship with these pillars, supporters, and friends of the ministry. Partnership isn’t a one-time event. It’s a growing, thriving commitment where we both share in the benefits promised to us when we come together and spread the cause of Christ and further God’s Kingdom. In partnering with us, you’ll be distinguishing yourself as someone committed to T.D. Jakes Ministries and one who shares its vision to save the lost, help the hurting, and spread the Gospel. Upon partnering with T.D. Jakes Ministries, we’ll send you a Partner Welcome Kit, which includes a few resources to help further explain our relationship with one another, and give the history of T.D. Jakes Ministries. As we grow together spiritually, I want you to see where we’ve come from, and where God is taking us. With your support we aide world emergencies, assist in setting up field hospitals and establish agricultural development to support livestock, housing and community development. In Haiti, MegaCARE provided 2 containers that aided 360,000 evacuees and fed 60,000 people. To ensure everyone has access to clean, safe, non-toxic water we have built 14 water wells across the globe. Pipelines from these wells have positively impacted the lifespan of young children by providing disease free water to their communities. Two pipelines in Africa resulted in the preservation of 1,000,000 cattle and livestock over a 5-year span. T.D. Jakes Transformation Centers have been built to provide children who have lost both parents to AIDS, a place to receive education, meals, community support and to stay connected to their extended family. Additionally, school supplies are provided to thousands around the globe. Children are the future of our world. As a team we have funded 16 life-changing surgeries to impoverished children in Bulgaria, Dominican Republic and Kenya. We conducted HIV screening and counseling in support of the “One Who Cares” Campaign and in one day held a medical camp that provided health screenings for over 150,000 people in South Africa. Partners help carry the gospel of Jesus to millions of viewers around the world via television and internet broadcasts. Global networks include TBN, Daystar and The Word Network. The Potter’s Touch weekly broadcast with Bishop T.D. Jakes tackles today’s topics and confronts the hidden issues and invisible scars that go untreated. This broadcast carries healing and restoration into homes of hurting people, unearthing taboo topics and offering practical and spiritual solutions to life’s toughest questions. Since 2004, more than 10,000 ex-offenders have successfully completed the one-year program offered by the Texas Offender Re-entry Initiative (T.O.R.I). The program gives tools and knowledge to reintegrate back into society and remain crime-free. Bishop Jakes is the visionary of the T.O.R.I. program. He recognized the need for re-entry assistance for inmates who were returning home to their communities and in response created this essential aftercare program to address the issues faced by individuals after incarceration. Ministering to those who are in prison has been a top priority at The Potter’s House therefore it was natural to expand into re-entry services. 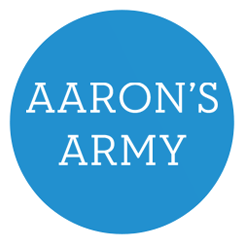 If your auto debit gift is at least $30/month, you will be considered an Aaron’s Army Partner. Your auto debit gift of at least $50/month places you at the level of Bishop’s Circle Partners whose additional support helps further our outreach. 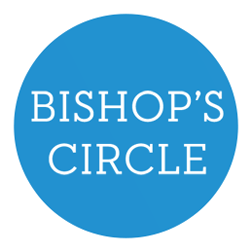 You can also submit an immediate one-time advanced gift of $500 to qualify for Bishop’s Circle. Your auto debit gift of $100/month or more brings you to the Bishop’s Circle VIP level as you help undergird the works of this ministry. 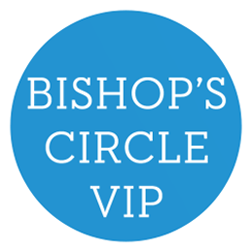 You can also submit an immediate one-time advanced gift of $1000 to qualify for Bishop’s circle VIP. 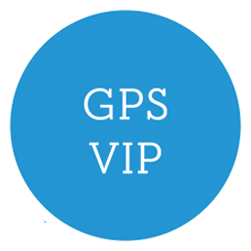 If you are interested in supporting the GPS program at the GPS VIP level, you may contact a Partner Advocate at 1-800-Bishop2 (1-800-247-4672). *Partners must arrive 20 minutes prior to service times for special seating during conferences and events. All active partners receive a FREE subscription of Bishop’s Village TV! This internet streaming channel allows you access into a community that features diverse, exclusive content and unique engagement opportunities with other partners…and Bishop TD Jakes!